it’s a lucet. 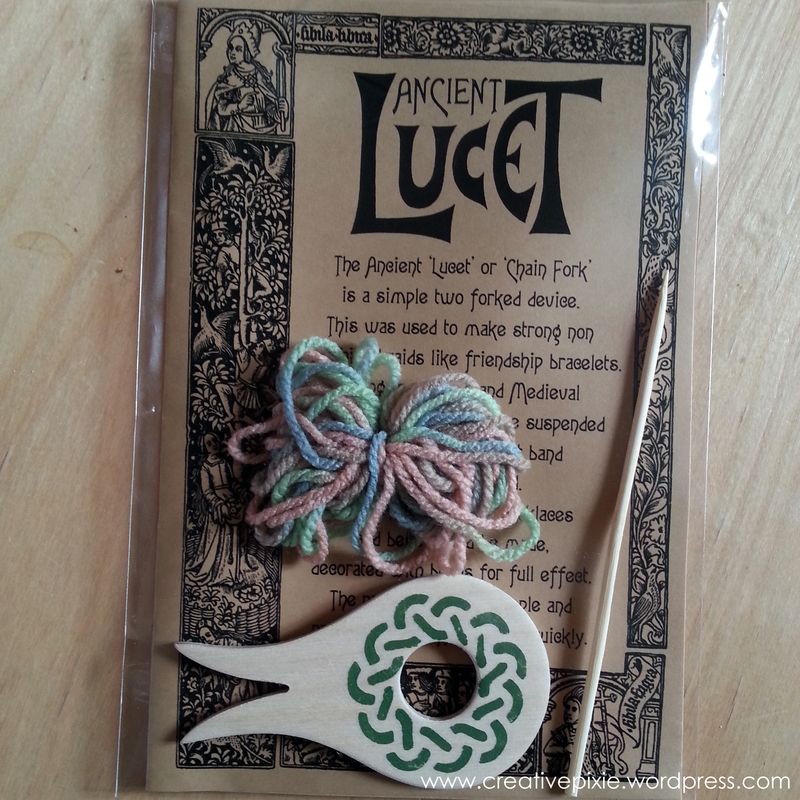 A lucet is a Viking or Medieval tool used to create cord or braiding, so it’s a bit like ancient knitting in that you work yarn around the fork and pull loops of yarn off using the stick. It was very easy to use, as well as being quick. 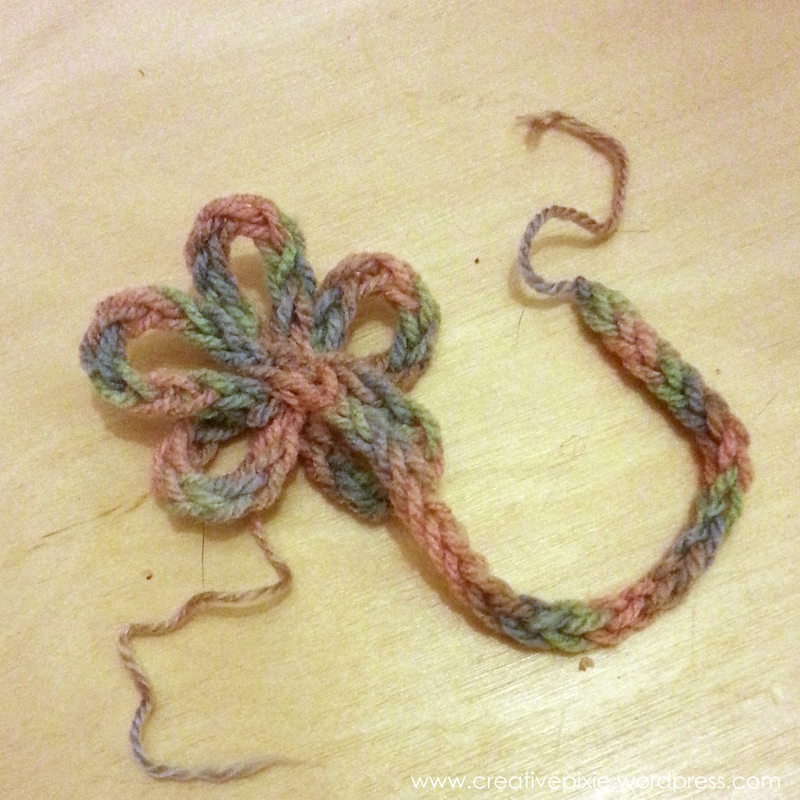 I admit that I had trouble of thinking what to do with this so in the end I came up with the idea of a flower brooch for Miss P.
I looped the cord round to get 5 petal shapes and then looped the excess around the middle and sewed a button in place to hold it all together. After sewing a safety pin on the back I gave it to Miss P to wear. 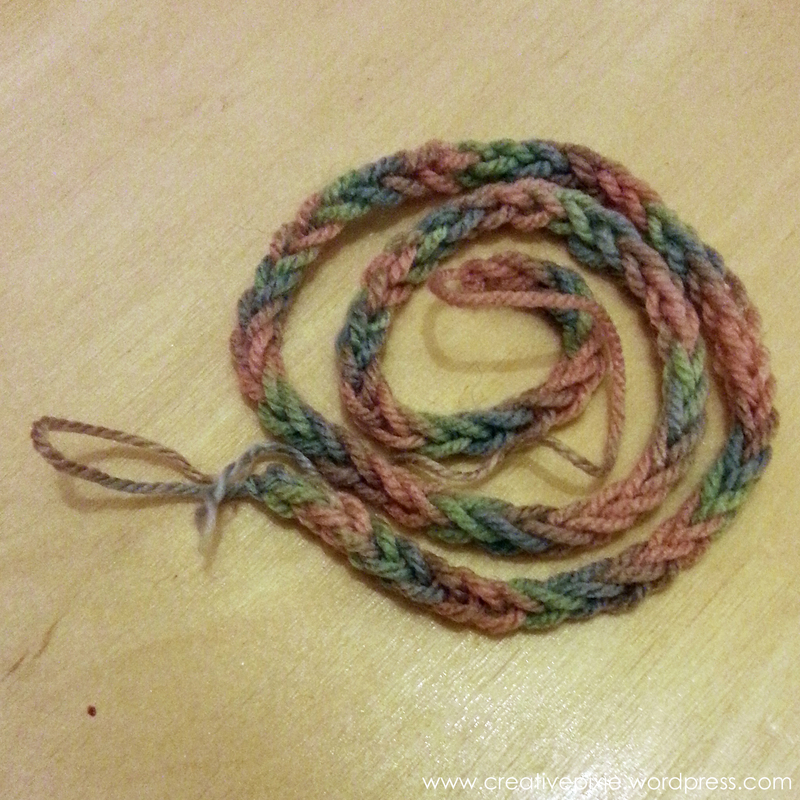 I think that if there were more things you could make with the lucet cord then it would be more popular but it may be a good way to get the children into yarn work. 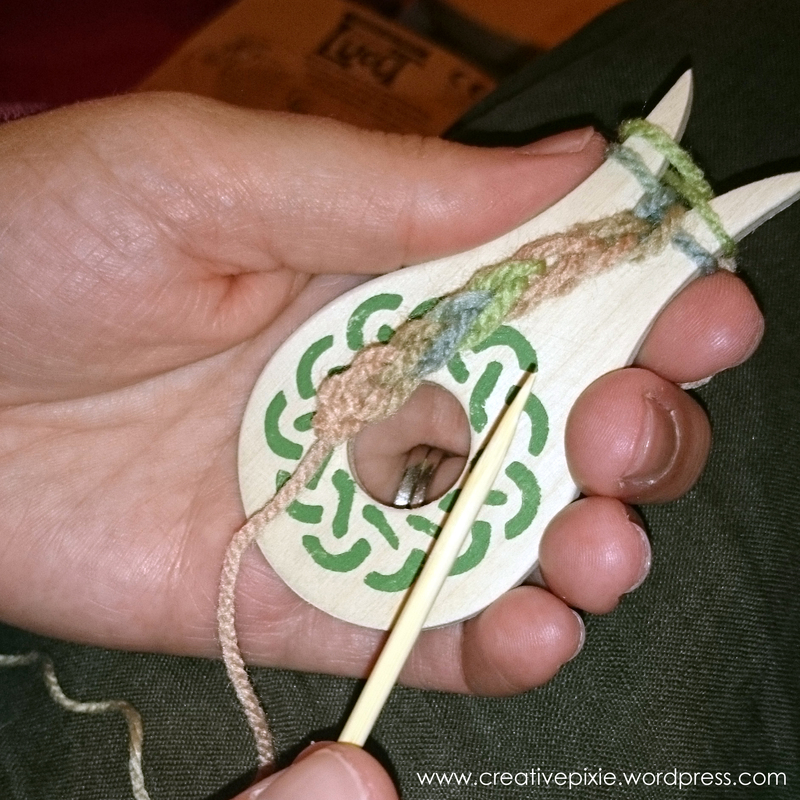 The kit was really simple to use so I think I’ll give it to Miss P to have a play with and see how she does. that’s so interesting, i’ve never heard of those before. does the hole in the middle serve any purpose? 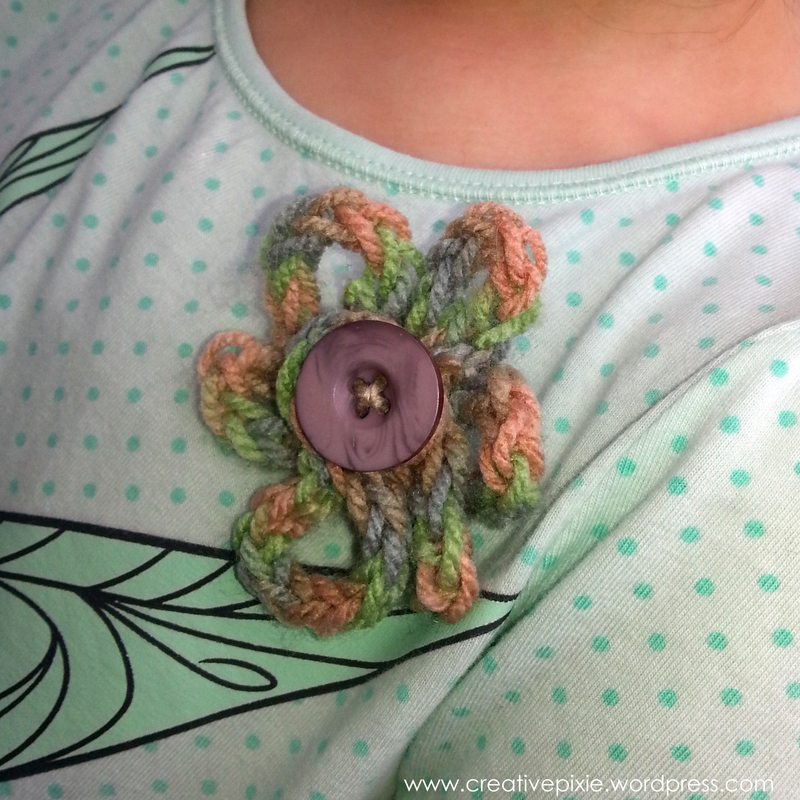 the flower brooch is a brilliant idea! You can feed the cord through the hole once it’s long enough, I had a look online and there are others which have just a handle so the hole isn’t integral to how it works. I’ve never heard of that. Interesting. I love souvenirs that are also crafts or food! Is it a bit like French knitting? I think it is (though I’ve not done that).